Is Indore's 'Smart City' Drive All About Forced Evictions? 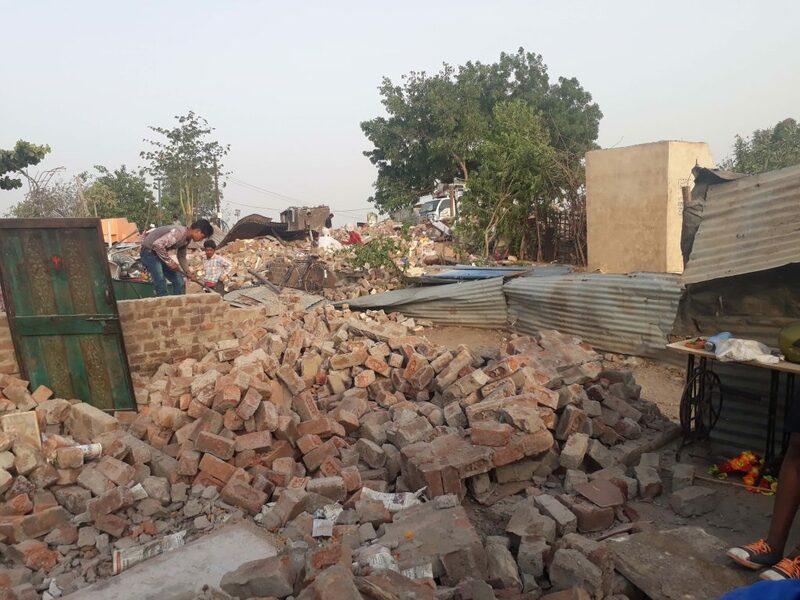 The demolitions in Bhuri Tekri, without prior warning, took place just a week after the announcement of ‘Swachhta Sarvekshan 2018’, with the city retaining the number one rank in the list. To make cities beautiful, forced eviction of slum dwellers amid promises of resettlement have led to massive displacement of working families. 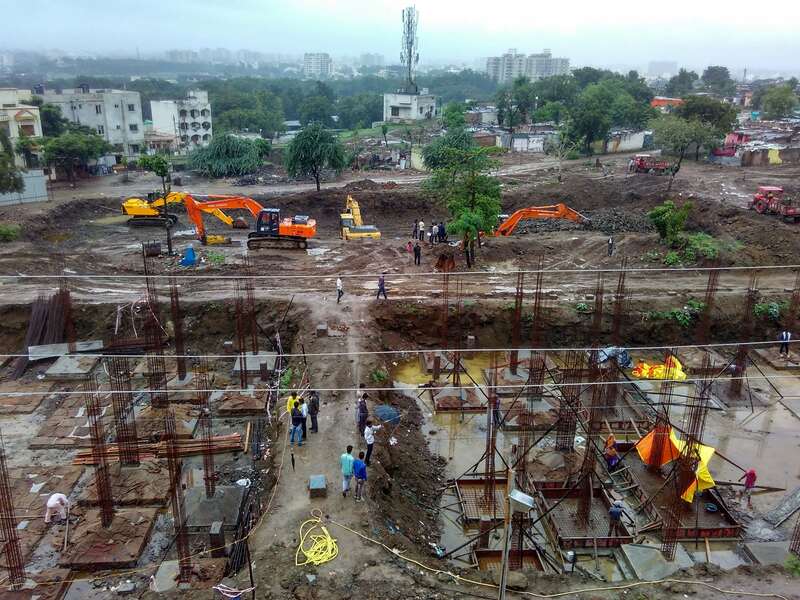 In Indore, one such aspiring ‘smart city’, more than 110 houses were demolished on the morning of May 23, 2018, at Bhuri Tekri by the Indore Municipal Corporation (IMC). The houses were demolished for the rehabilitation of people under the in-situ slum redevelopment component of the Pradhan Mantri Awas Yojana-Urban (PMAY-U). Most of the residents of the slum belong to Dalit community. In an earlier drive by the IMC in 2017, over 500 houses were demolished and families were forced to live in the tin-shed transit camps with minimal basic amenities. People sarcastically refer to these sheds as “silver palaces”. After the initial demolitions, more than 150 houses had refused to move and struggled to save their houses. They went on an indefinite strike which continued for more than three months. Finally, they got assurance from the local MLA that their houses would not be demolished. Also the executive officer of PMAY assured them that no demolition would take place against the desire of the people. Later, on the day of demolition he said “No one demolishes their house willingly, there has to be some force from outside”. The residents were even threatened to leave their houses, but they refused to do so. This time round, the eviction began at 7.30 a.m and ended at to 6.00 p.m, with more than 100 police officials, 200 IMC officers and workers, 100 ‘bouncers’ and 10 bulldozers and dumpers deployed on the site. Three women were detained in the morning as they refused to let IMC demolish their houses and were sent to the Mahila Thana, Palasia. They later got bail. A similar incident took place last year, when a woman was detained and her house was demolished while she was in custody. IMC is committing offences again and again, all in the name of retaining its first rank in this year’s Swachhata Sarvekshan. Last year, the National Forum for Housing Rights (NFHR) had filed a complaint in the National Human Rights Commission (No 1270/12/21/2017) against the threat by IMC to the people residing in the slums of Indore, one of the major cities in Madhya Pradesh. The NHRC had also issued a direction to IMC on November 3, 2017. The case is still sub judice, yet the IMC has demolished the houses once again. It used all possible tactics (from spurring internal conflicts to black magic and even ‘buying out’ a few residents) to make people vacate the houses, but failed to do so. All this while, IMC claimed that the demolitions were being done to build LIG, MIG and commercial constructions and that the profit-earned would be used for subsidising the dwellings of EWS (economically weaker sections). Ironically, the demolitions, without any prior warning to the slum-dwellers, took place just a week after the results of ‘Swachhta Sarvekshan 2018’ were announced, with Indore retaining the number one rank in the list. A report by The Wire last year had also highlighted some alleged irregularities by the Indore municipal authorities to achieve the top rank in the 2017 survey. According to the report, toilets were installed in bastis before the ‘sarvekshan’ (survey) and later uninstalled. In a few cases settlements where they couldn’t install toilets, they demolished the entire unit. 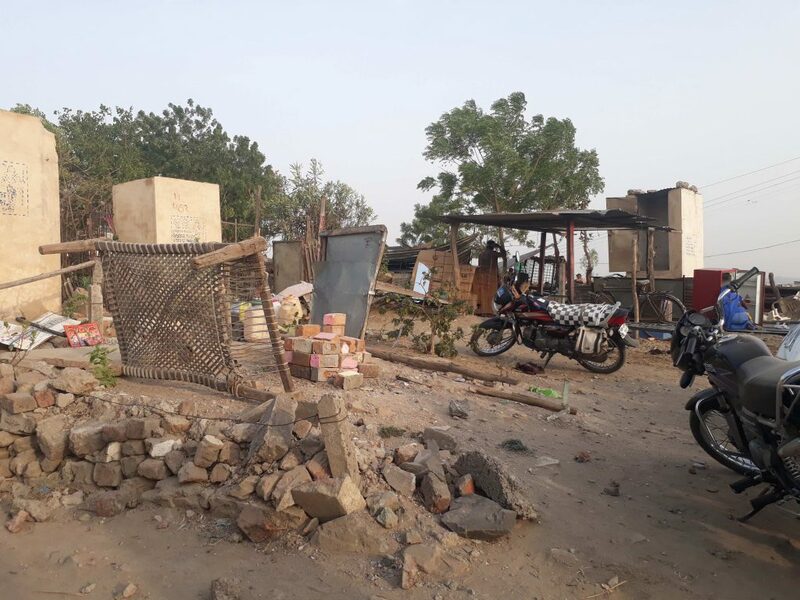 A similar chain of events unfolded this year in Bhuri Tekri, where people have paid for construction of individual toilets and in less than a year their houses have been demolished. A toilet is being considered as the most basic amenity by the present political regime. But, in clear violation of government norms, the IMC has demolished houses that had recently built toilets. As a result, over 100 families are being forced to live in open in the acute heat of the Malwa region, which is a serious case of human rights violation by the IMC authorities. The Supreme Court of India, in its order in UP Avas Evam Vikas Parishad v Friends Coop. Housing Society Ltd (1996), had stated that right to shelter is a fundamental right, which springs from the right to residence under Article 19 (1) (e) and the right to life under Article 21. The people of Bhuri Tekri have clearly been denied their right to life. According to the UN Guidelines on the Forced Evictions, there shouldn’t be any kind of eviction till a provision of compensation, restitution and rehabilitation has been made to the affected families. But it was found out that during the process of evictions by IMC, there were not enough transit houses to accommodate the affected families. Also, while resisting forced eviction, some residents were also injured. Gopal Rana, one of the oldest resident in Bhuri Tekri fell from atop a wall during the eviction drive and to be in a serious condition. Sharda ji, a female resident, also fainted due to pressure and threat created by IMC. She was taken to the Kanadiya Police station and thereafter to the hospital. Situated on hilly terrain, Bhuri Tekri is said to be one of the most inaccessible settlements that was turned habitable only because of its people. It was earlier an extraction unit for stones and pebbles. Most residents said they started by working and ended up living here thereafter. It was part of the gram panchayat and was sparsely dense with around 200 families living there since the past 20 years. The terrain was almost inaccessible, surrounded by wild bushes and an extraction unit. There was no fixed water source and people had to walk at least 3 to 4 km to fetch water. Earlier, there was minimal payment for work, so most people saved wages by living close to their workplace, howsoever unsafe it was. People used to be paid a measly Rs 10 for a truckload of muram (red building material), boulders (for pebbles) and eran (stone). Women were obviously paid less than men. In early 2000, the extraction work came to a halt. For residents of Bhuri Tekri, all basic amenities were quite distant, be it nearest public transport centre and ration shop. The community does have five hand-pumps, one borewell and individual toilets built under the Swachh Bharat Mission (people paid their contribution for more than 800 toilets), a newly constructed Sulabh International community toilet, a government primary school, two Anganwadi centres etc.Several residents said they had well-constructed housing structures, with a few of them taking loans under the Indira Awas Yojana. Bhuri Tekri was among the 29 villages included in the IMC in 2013. Bhuri Tekri was selected for in-situ slum redevelopment under the Pradhan Mantri Awas Yojana for providing housing to people under the EWS category. The land is said to be a government-owned and the district collector, in a letter dated October 19, 2016, transferred the land to IMC for rehabilitation of residents. In the site-specific DPR (detailed project report) presented by IMC, which was also finalised by the state and Central government, houses were to be built for 726 people of Bhuri Tekri. Other than the EWS units, LIG, MIG and commercial constructions were also planned for the locality, and IMC claims that the money raised from housing would be used for subsidising EWS units. As per the DPR, the construction cost of units was proposed to be Rs 8 lakh, of which Rs 1.5 lakh each would be contributed by the Central and state governments, and Rs 3 lakh will be contributed by IMC (which obviously will be raised through profit from different housing units) and Rs 2 lakh by each household. A heavy amount is being spent the authorities on the construction and maintenance of temporary shelters (transit camps). In the first phase of demolitions carried out in 2017, more than 500 houses were demolished and were relocated in transit camps. The main problem with the plan is that no vertical of PMAY(U) speaks of relocation of several settlements at one place. Since people in Bhuri Tekri have been living together as a community for over five decades, they should be compensated for the loss. Not with just a house but land, too, as it was part of the gram panchayat earlier. Their land is being used as a resource to generate profit by IMC. In-situ redevelopment by definition means ‘redevelopment of the same settlement’. Moreover, questions are being raised whether the residents belong to the EWS category at all? As of now, there is a feeling of uncertainty about the future that’s hanging on the heads of the people of Bhuri Tekri. With their houses turned into debris and transit camps not available, several families are living in the open under . the scorching sun. They do not want to leave the place which they had made liveable. They also do not want to give up hope for a better house on the same land. About 50 to 60 structures are still there and these will not be demolished till new transit houses are made. However, amid the brutality and fear, the police has tried to act like a bridge between the locals and the IMC. When people refused to cooperate with the IMC as there were not enough transit houses, the police saw through the “misdeeds” of IMC, as they allotted one transit house to several families. The police warned IMC and said they would not cooperate till proper arrangements are made for people. Meanwhile, two more settlements have been selected for in-situ redevelopment under PMAY in Indore, keeping alive the debate on housing problem versus housing crisis. In the IMC’s bid to be the “best” in everything, it is the people of Indore who are paying a heavy price. Ankit Jha is a journalism graduate and Masters in Social Work. He works on the issues of land and housing rights of urban poor in Delhi, and is a member of the Basti Bachao Sangharsh Samiti. Anand Lakhan is a housing and land rights activist based in Indore. He is the co-convener of the National Forum for Housing Rights.